People often get confused when trying to differentiate between the many specialties of dentistry. There are orthodontists, endodontists, periodontists, general dentists, pediatric dentists, and, of course oral and maxillofacial surgeons, among others. Oral surgeons are probably the classification of dentist the casual reader knows the least about. It’s the sort of thing you don’t really need to know about, unless, of course, in the hopefully less-than-likely event that you need oral surgery. It works a little bit differently at the dentist’s office than it would at a hospital. Mid Wilshire Dentistry, for instance, is able to perform a variety of procedures that are considered oral surgery all at one location. It’s quite convenient, actually. Why Would a Person Need Oral Surgery? 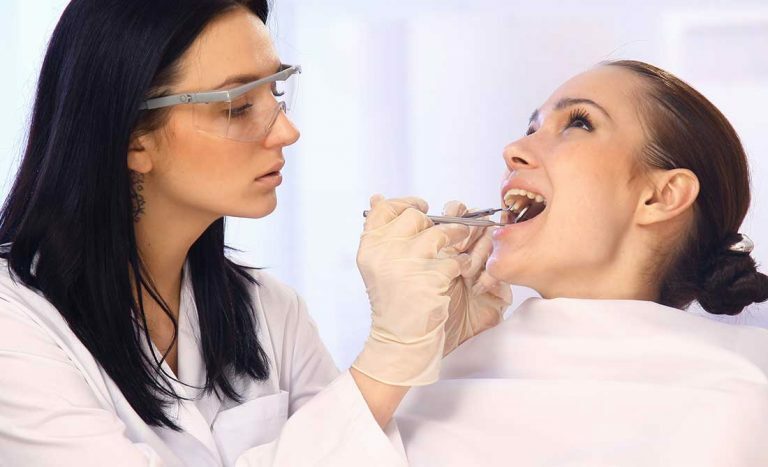 An oral surgeon is able to diagnose, provide treatment, and perform surgery that will resolve impact or injury, as well as issues going on in the jaws, hard and soft oral tissues (teeth and gums), the head, neck, and even the face. When we think of tooth extractions, we likely think of our wisdom teeth. They show up in the back of the mouth, erupt through the gum line, and more often than not come in improperly aligned. This, in turn, promotes misaligned bite. We’ll recommend tooth extraction to avoid such issues before they start. Teeth that are too damaged to be repaired also face extraction. Tooth decay, pulpitis, and tooth root infection can all make tooth extraction necessary. After tooth extraction, it is recommended to have a dental implant placed in order to maintain shape and promote surrounding tooth and bone functionality. Corrective jaw surgery is an option when jaw misalignment becomes such a lingering problem that it affects teeth, the jaw, and face functionality. Sometimes we’ll even recommend jaw surgery if the issue seems mild or hasn’t affected a patient’s quality of life yet, just as a preventive measure. Any time we perform corrective jaw surgery, we are looking to re-establish full jaw functionality and range of movement. Dental implants are often considered oral surgery, since a titanium post needs to be placed and fused with the jaw that allows a replacement tooth to be placed. Oral surgeons have to look at the big picture. If a patient has a lesion in the mouth that looks or feels suspicious, we want to get after it immediately. We’ll perform a biopsy that will tell us whether this is due to oral cancer or not. We’ll take a sample of the tissue and send it to a lab to be examined. Good news or less-than-good news, we’re here to help you deal with what comes. We won’t perform this procedure unless we absolutely believe its necessary. Hopefully that sheds a little more light on the oral surgeon profession. Now, whenever you meet or deal with an oral surgeon, you will have a much deeper knowledge of what they do. If you believe you or someone you know might benefit from oral surgery, contact Mid Wilshire Dentistry today and we’ll tell you everything you need to know. Call 213-550-2357 to schedule your initial consultation with Dr. Laska.